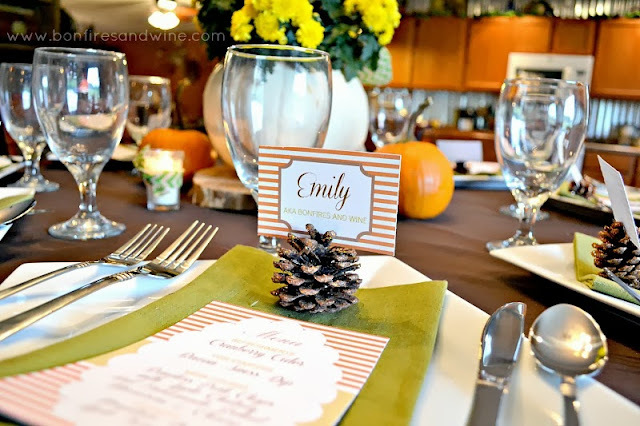 Fall Progressive Dinner by 7 Fabulous Bloggers! Happy Monday y'all! I am so excited about today's post! 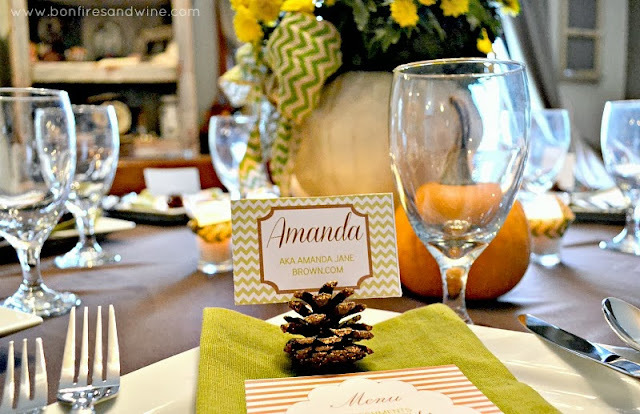 I've teamed up with my 6 favorite blogging ladies to bring you a "Fall Progressive Dinner"! Start at the top and work your way down to dessert! 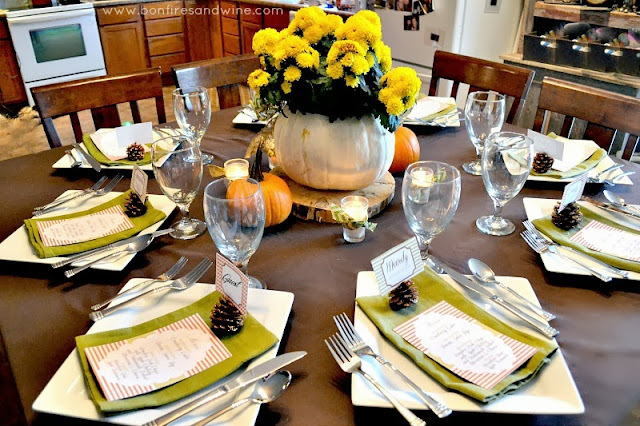 By the time you're finished you'll have an entire Fall Dinner Party planned out! 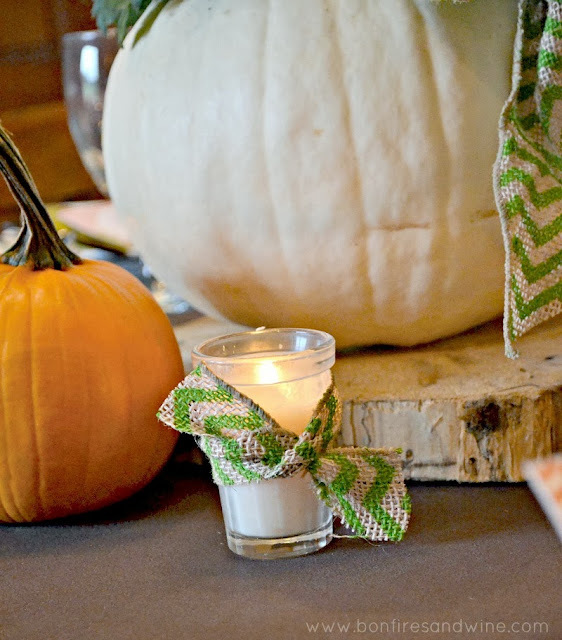 From the table decor, to main course, to dessert, we've got you covered! 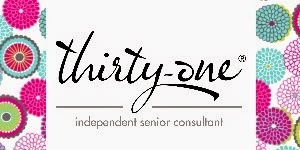 Natalie, AKA the Busy Budgeting Mama is as talented as they come. 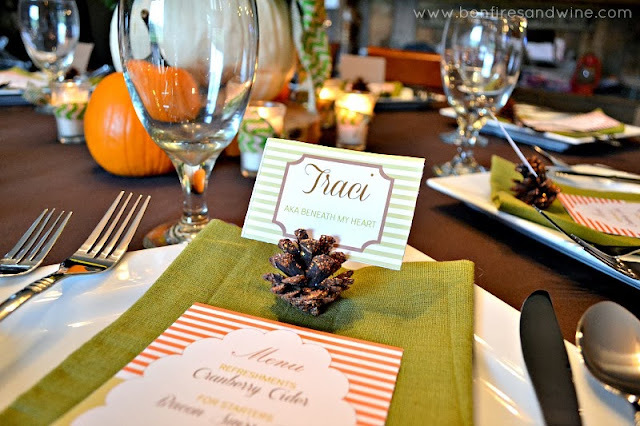 She created these beautiful printables for my Fall Tablescape. And, the best part? 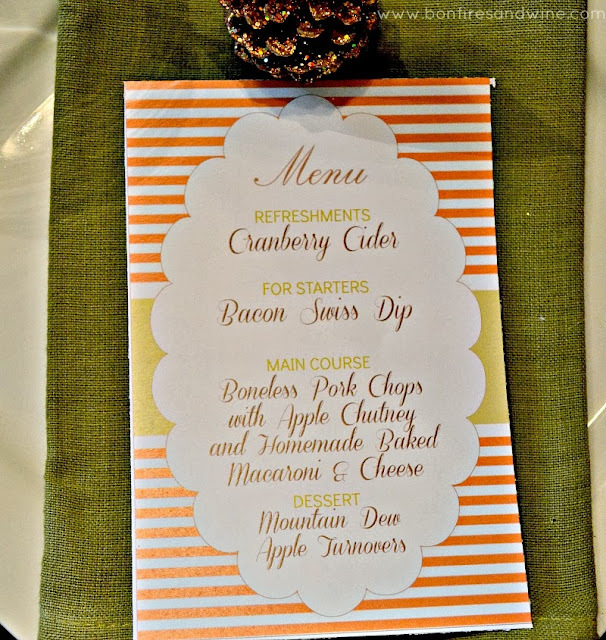 Make sure you stop by and download these for your table! 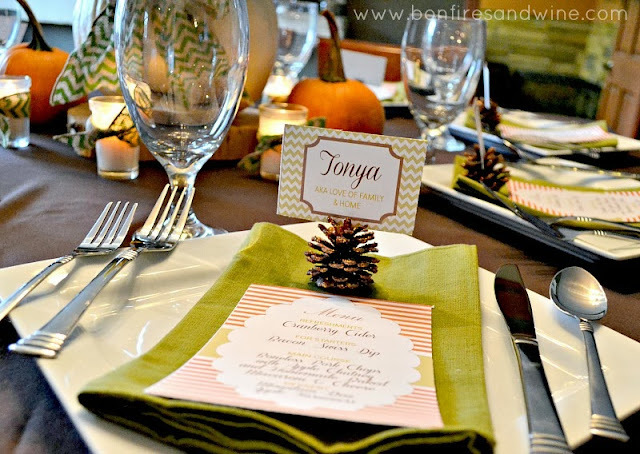 The place cards that Natalie created are so cute and they can be used for food labels too! 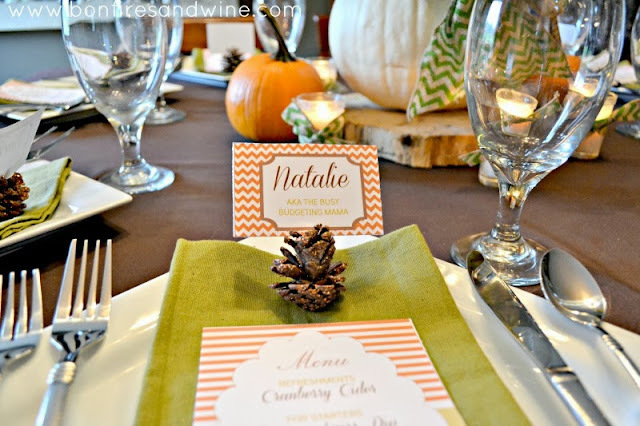 I used PicMonkey to personalize all of Natalie's Printables. 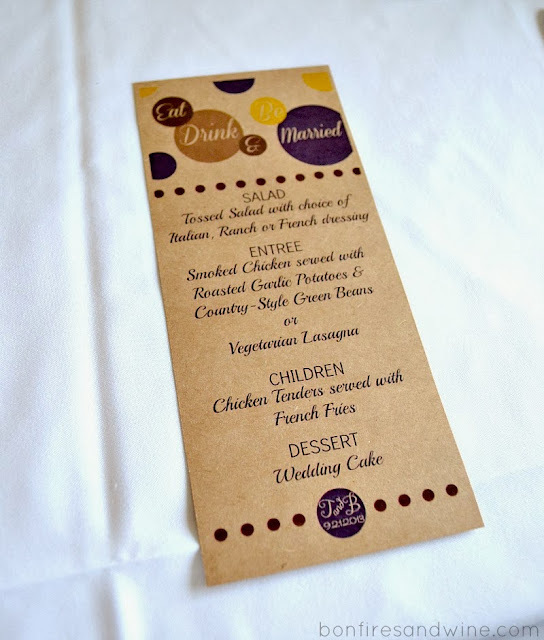 This menu card adds so much detail and color to the table! Now, for the rest of the table. 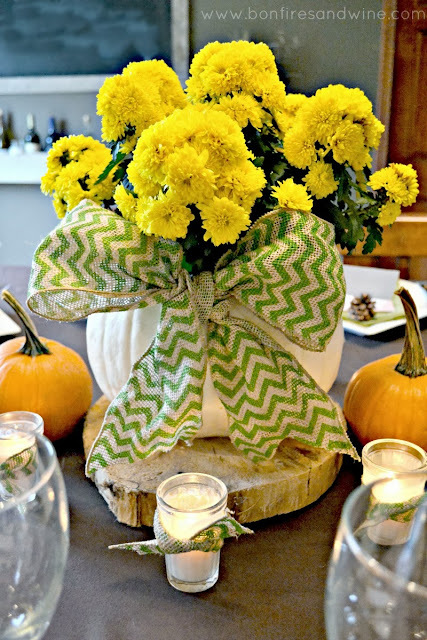 I bought a pretty white pumpkin and planted a bright yellow mum right inside of it! A big chevron bow helped finish off the look! 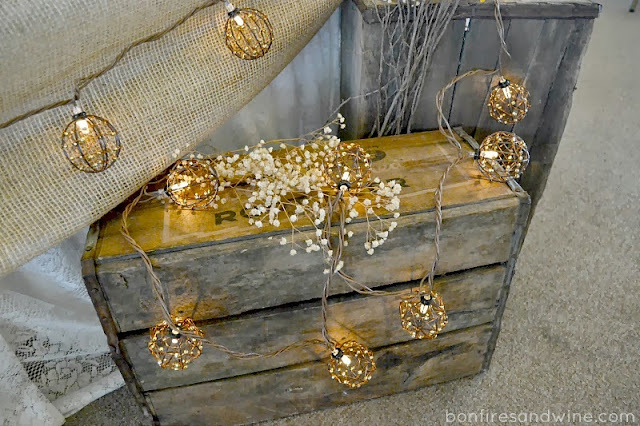 The glittery pine cones were purchased from Wal-Mart and they were only a few dollars for the whole package. Now, for the fun part! Where in the world do you put the kids? 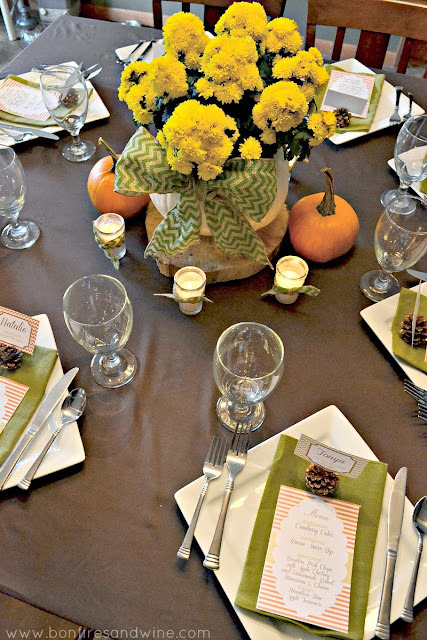 Definitely not at this pretty table full of glassware and lit candles, right?? 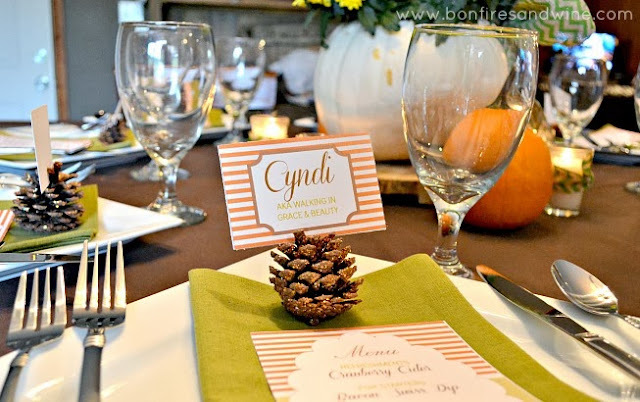 They need a cute little personalized table of their own! 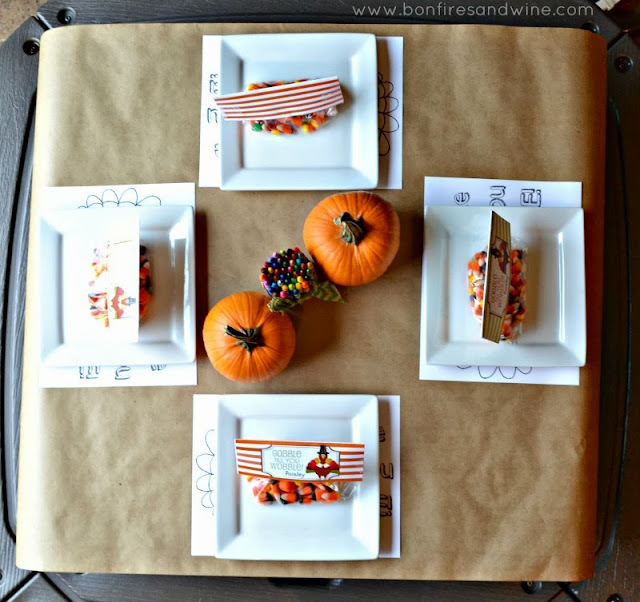 You can literally throw this kids table together in minutes. 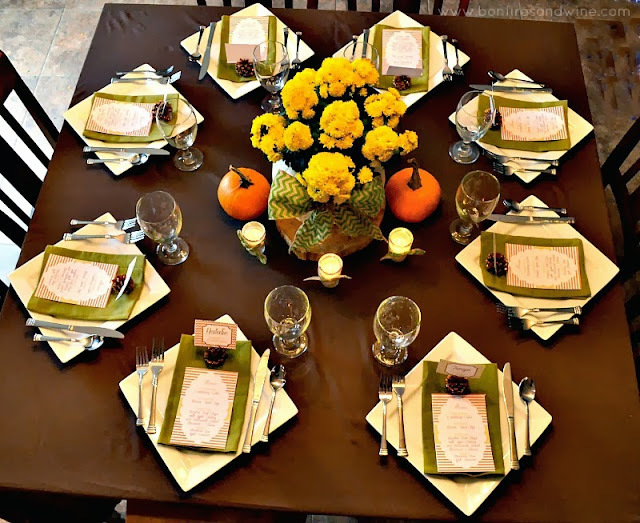 I used brown kraft wrapping paper as a tablecloth. I bought it at Dollar Tree for $1 per roll! 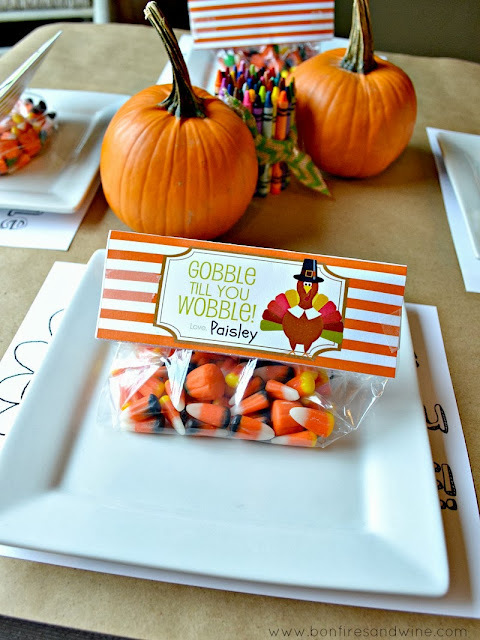 These treat bag tags are also part of Natalie's FREE PRINTABLE PACKAGE! 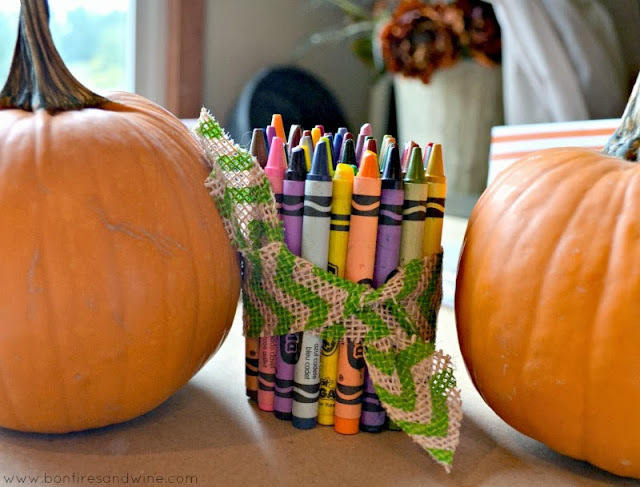 A few pumpkins and some crayons make for a very simple centerpiece! 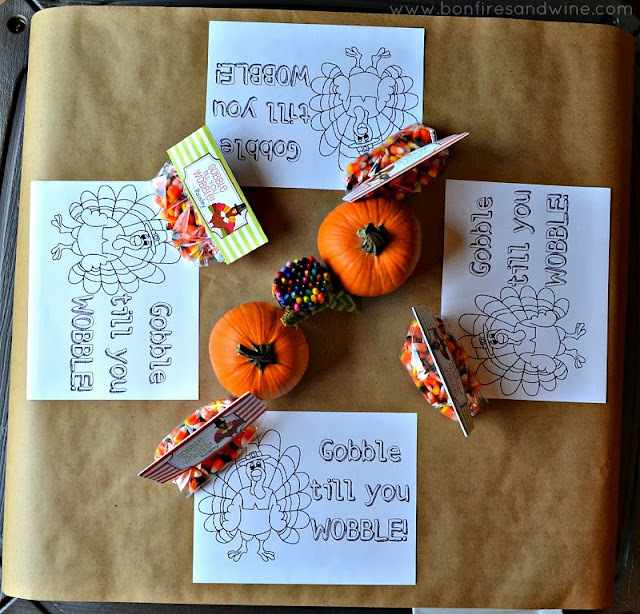 The place mats are coloring pages! 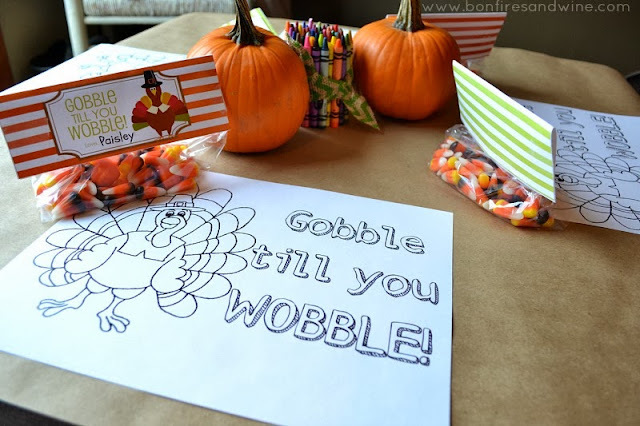 Which means, while they wait for dinner or when they're finished, the kids can spend time coloring! 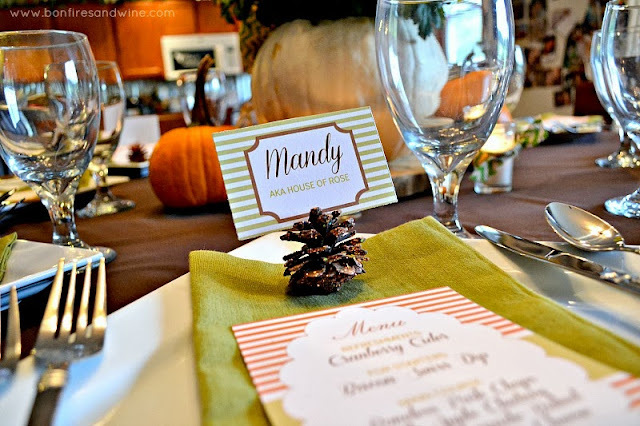 I am loving the fun fall colors and the mix of chevron! 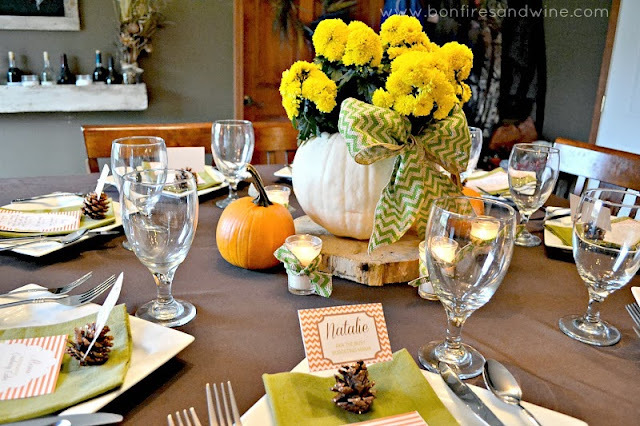 Are you hosting a Fall get-together soon? 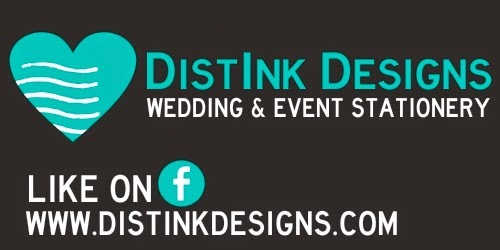 Make sure you stop by all the other sites and finish up your planning! Thanks so much for stopping by today! 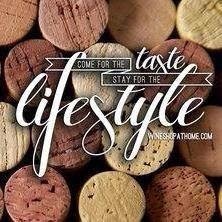 Have an awesome week! I've only been talking about this wedding FOREVER, right? Well, it finally happened! This past Saturday was Brie's big day and I must say she was downright beautiful and everything went great! We literally DIY'd our happy little selves through this entire thing. For the past year everyone who knew Brie was saving jars. Salsa jars. Spaghetti sauce jars. Pickle jars. Baby food jars. All jars were being saved. 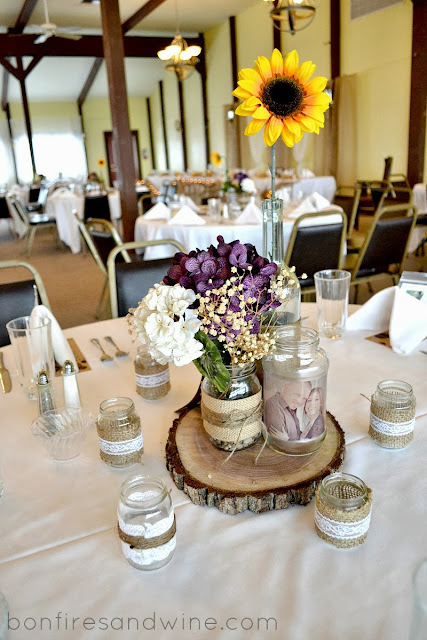 We made all of her bouquets, corsages and boutineers. 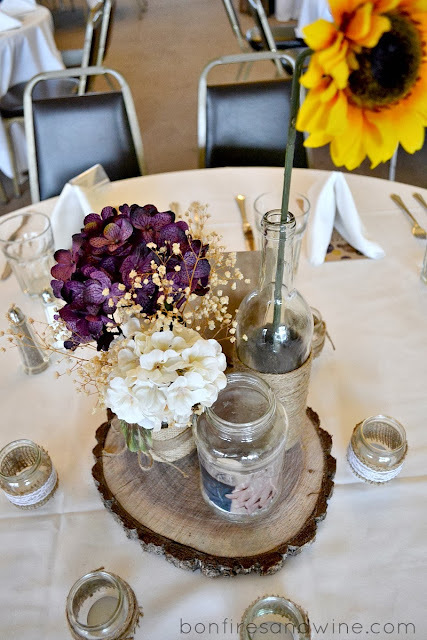 Every table centerpiece and all of the head table decor. 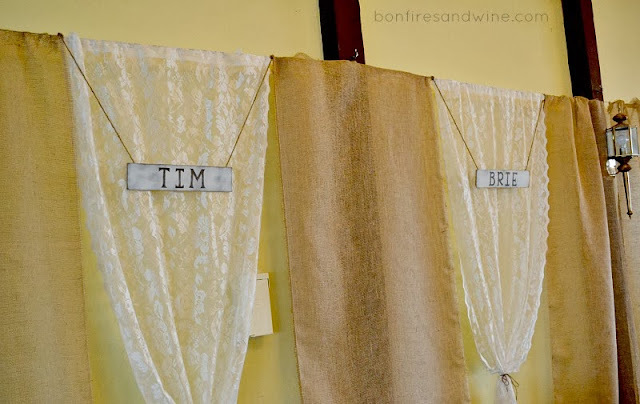 Backdrops, signs and personalized guest book. Even her garter and head piece were DIY'd. Like, EVERYTHING!!! This saved Brie a ton of money, plus we really got to create exactly what she wanted. WARNING: If you aren't in the mood to look at a few gazillion pics, you should just close your browser now. I may or may not have gone a little photo crazy. Even if some of them are with my phone because I left my camera at home. 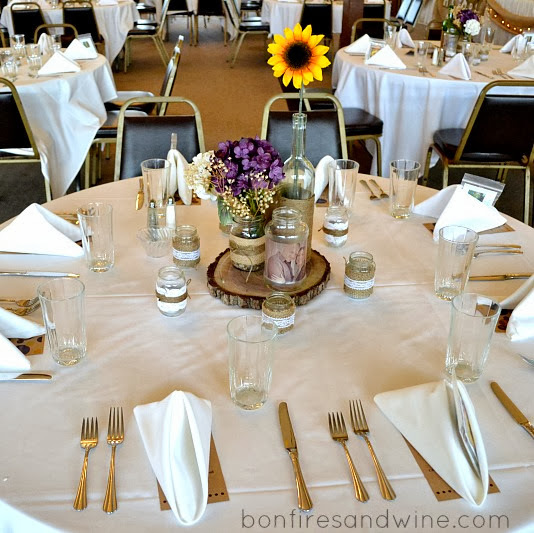 We went simple with the ceremony. 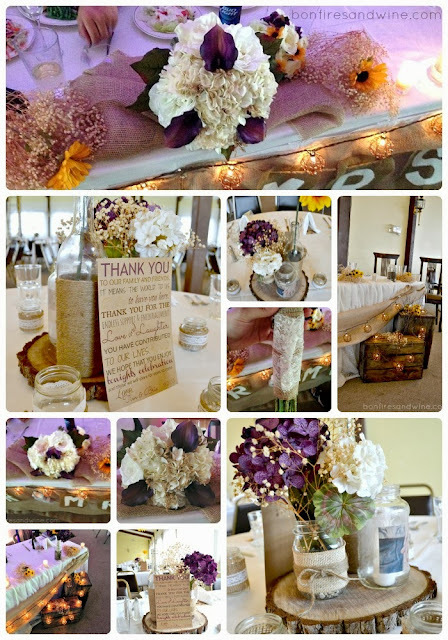 Just some purple pom pom balls and big burlap bows with baby's breath. A sweet shot of the beautiful couple right after the wedding. 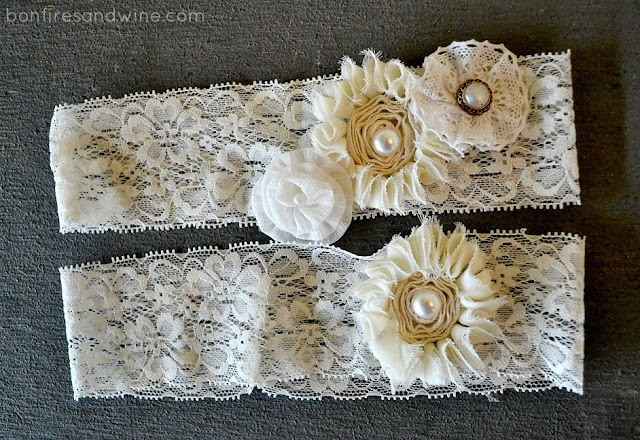 We used a beautiful ivory lace that had a little stretch to it for her DIY Garter. We measured her leg and had my grandma sew it together. 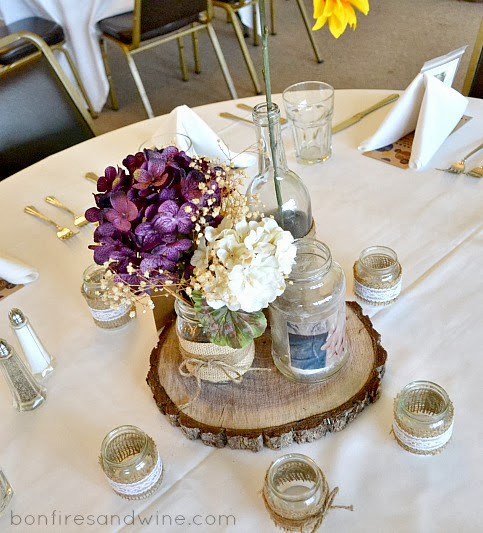 We bought some fabric flowers in the scrapbooking department at Hobby Lobby and hot glued them onto the lace. I just love how beautiful and classy they turned out! 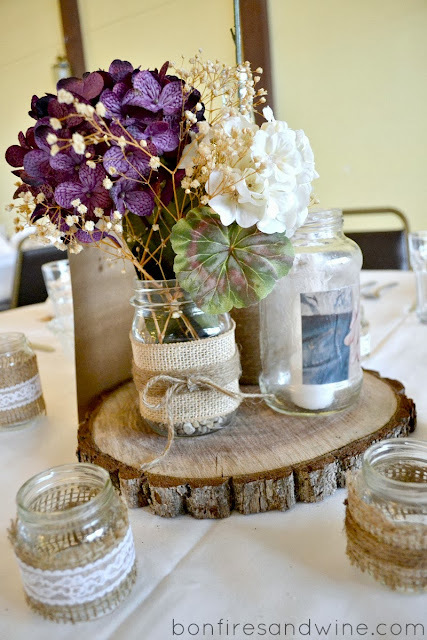 Now for the centerpieces. 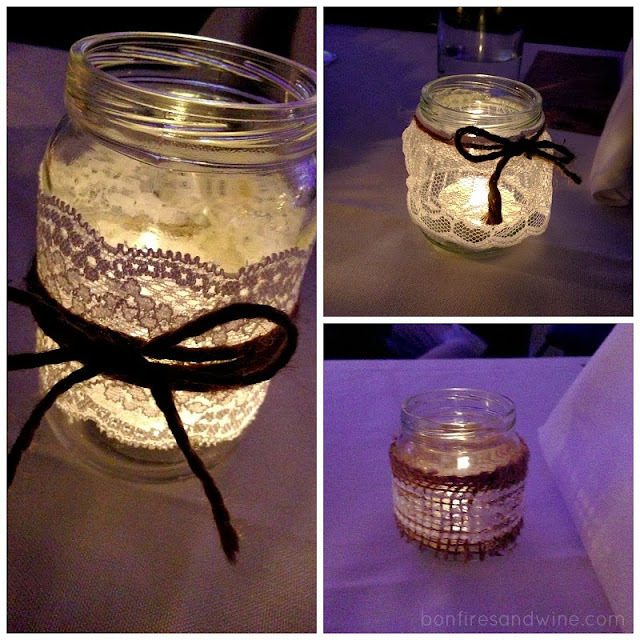 We used jars, wine bottles and baby food jars. 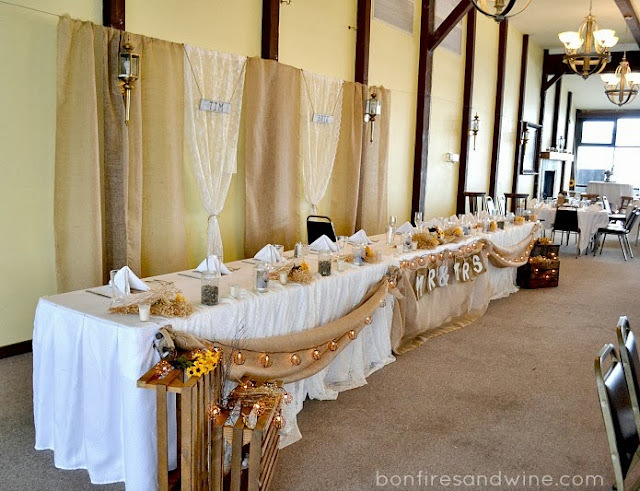 All were wrapped with a mixture of burlap, lace and jute. 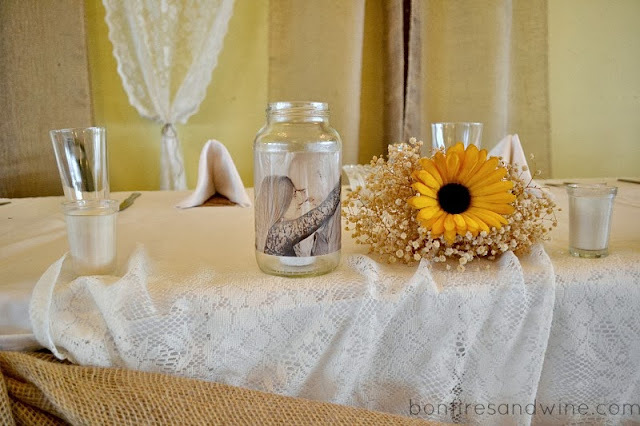 One jar on each table had an engagement picture printed on vellum mod podged to it. Then, we lit candles inside making the photo glow. 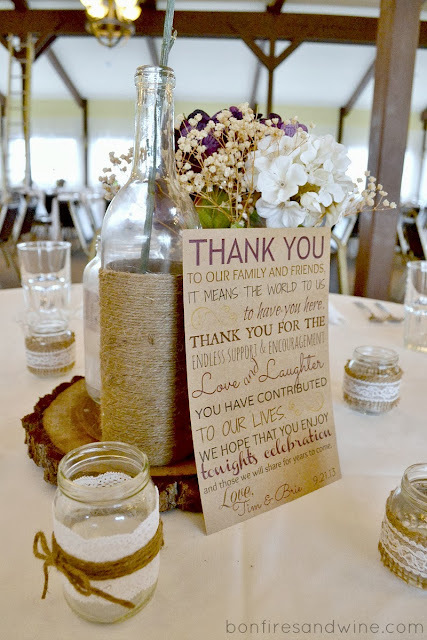 I created these "thank you" cards and menu cards using Picmonkey and we printed them on brown kraft paper. 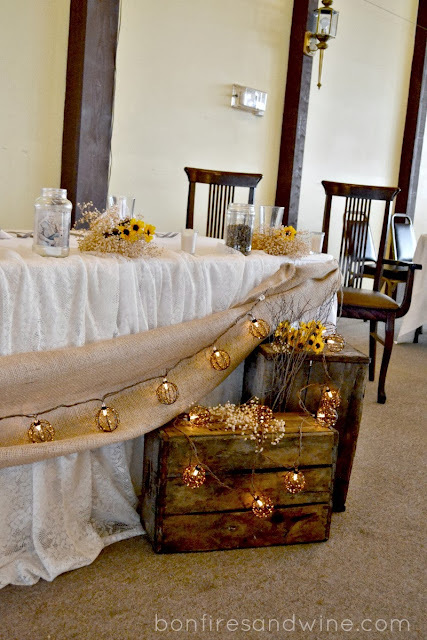 We used more burlap and lace as a backdrop for the head table. Plus signs with the Bride and Groom names. 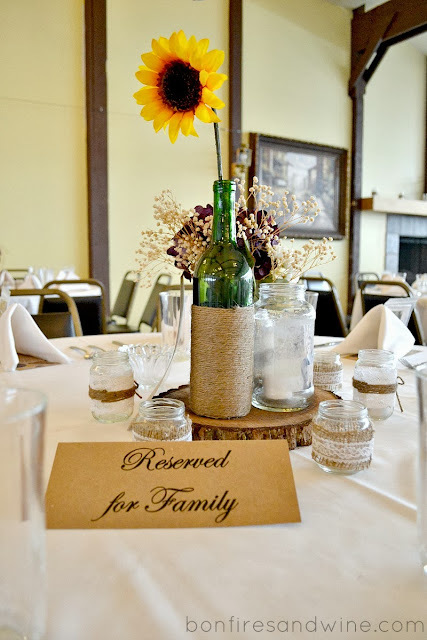 I used some burlap to make a Mr. & Mrs. sign for the head table. 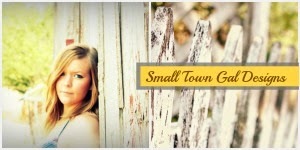 Brie used all of the engagement photo's that I took and created an awesome personalized guest book online. 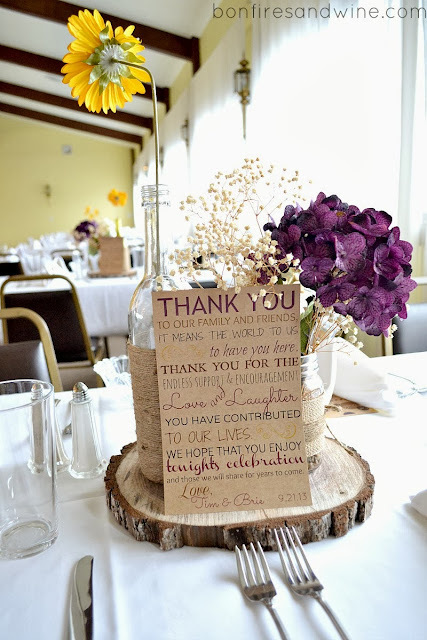 She also had wine bottles setup and note cards for people to leave them messages in for them to read on their anniversaries. Are any of y'all planning a wedding right now? 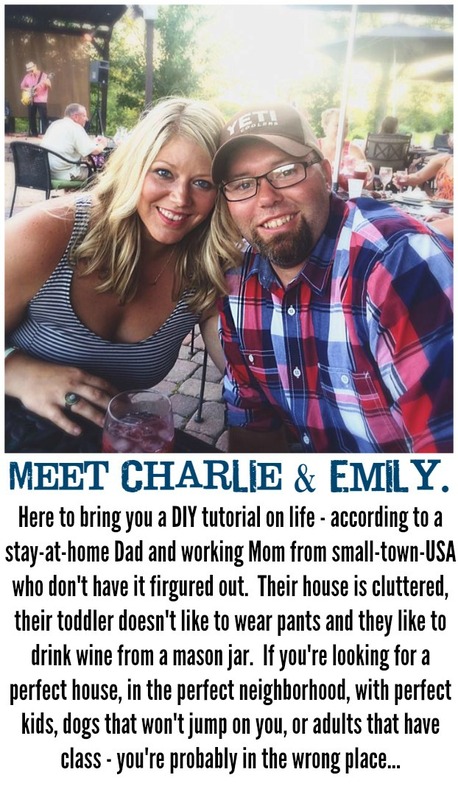 Are you DIY'ing it all too? 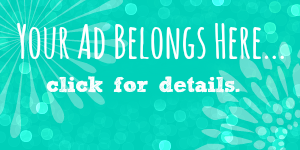 We'd love to see some photo's!